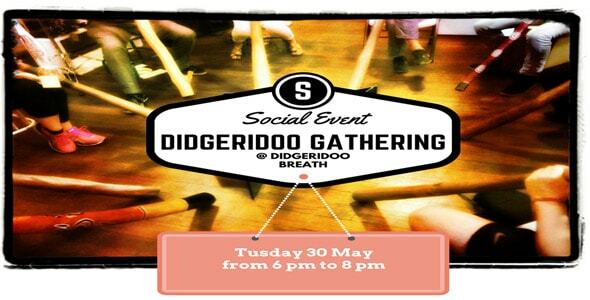 Tomorrow, Tuesday 30 May we will held the first Didgeridoo Gathering at the Didgeridoo Breath Shop, down to Fremantle. It’s a free event and it is suitable for everyone. 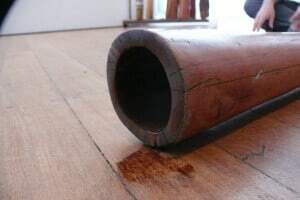 Both didgeridoo player, advanced or beginner are invited to come, meet other didgeridoo lovers, chat, play, ask info, try didgeridoo. Let’s make a Didgeridoo community in Freo. From 6 pm to 8 pm approximately. 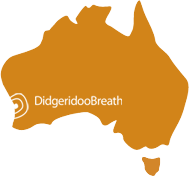 Next Tuesday, 30 May 2017, we are running a free night at Didgeridoo Breath. 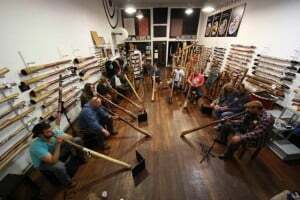 A couple of hours between 6 pm and 8 pm of fun where everyone is free to jump up and play solo or with other didgeridoo player. During the night we would like to run a few activity in order to have a lot of fun all together. – “Pass the solo” is a sort of game in which every one can participate. Played in circle with one or more percussionists who gives the bit and all didgeridoo players play one after the other constantly. 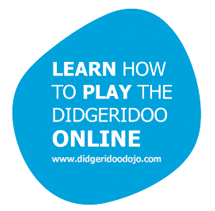 – “Didgeridoo Open Microphone” session: In this activity every didgeridoo players can jump on the “stage” and play one or more songs. 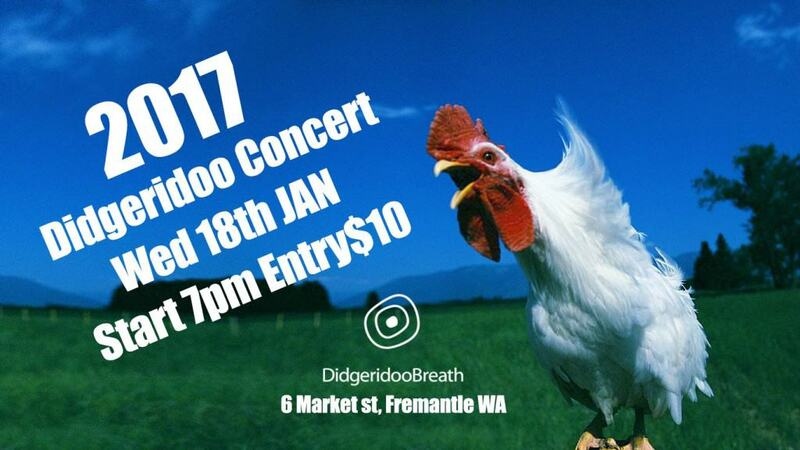 – “Didgeridoo Orchestra“: This is a big challenge! Try to play all together one basic rhythm and improvise on it. We would like to have as much fun as we can with our beloved didgeridoo so more we are and more fun we will have. You don’t play Didgeridoo? No problem at all. 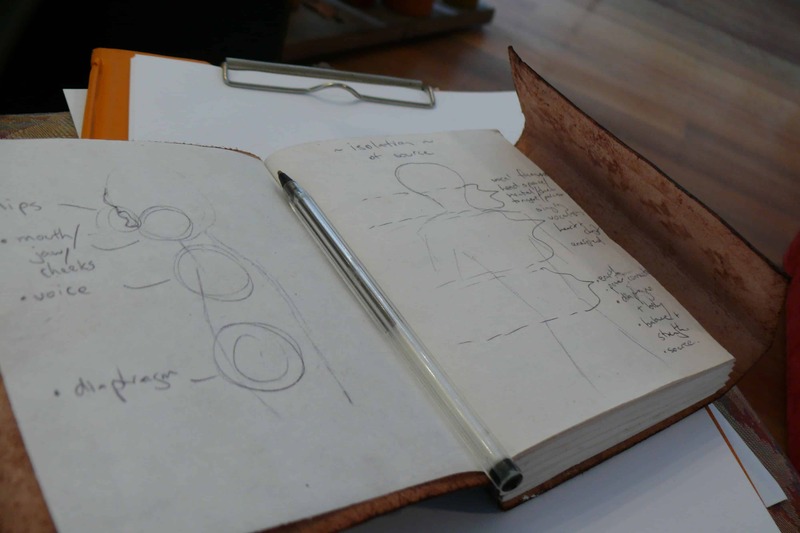 You will have the possiility to try and learn this fantastic instrument during the night. 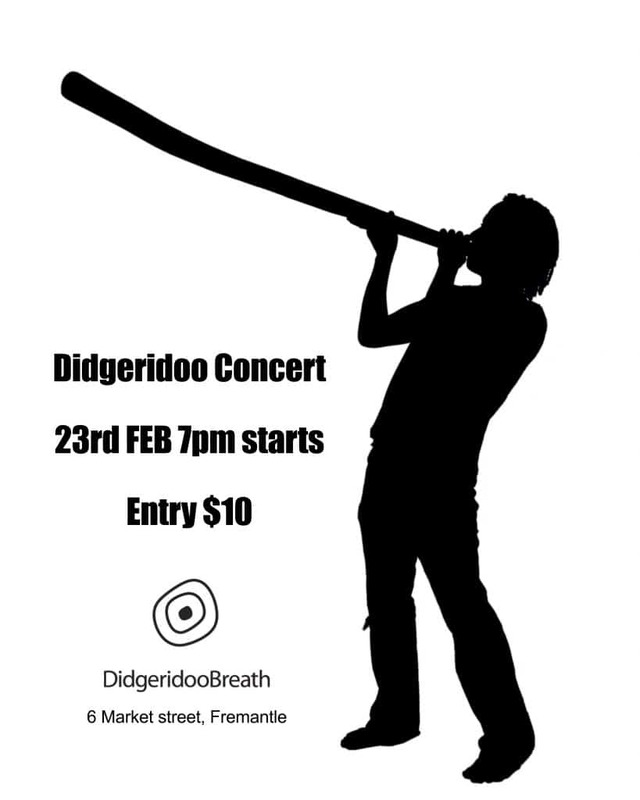 This is a free night so everyone can come to play didgeridoo or just to listen the amazing sound of the didgeridoo or even to meet old friends, meet new friends and chat chat chat. We are exited to announce a special didgeridoo workshop holding by one of the acclaimed and finest Australian’s didgeridoo player Mark Atkins on the 20th of September 2016 at Didgeridoo Breath shop in Fremantle (WA). 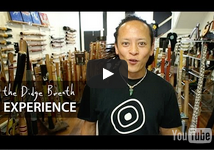 Mark will be holding an intermediate to advanced didgeridoo workshop on the 20th of September at Didgeridoo Breath in Fremantle. All students should be confident with circular breathing prior to the course. 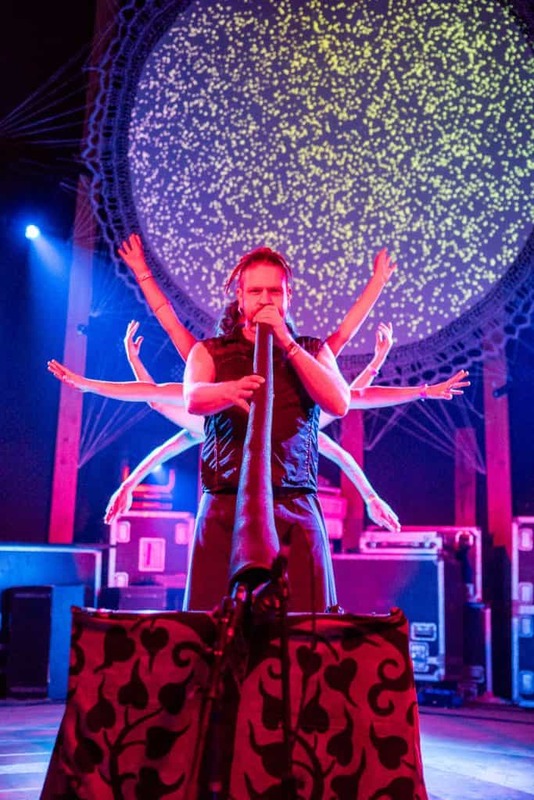 This will be an awesome opportunity to learn from one of the finest didgeridoo player in the Word, develop your own playing style and have a lot of fun. 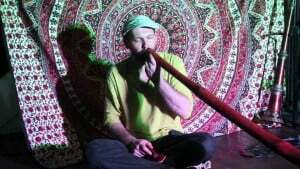 The way Mark is teaching how to play didgeridoo is really unique and will drive you in a new and exiting style to play the didgeridoo with his stunning “wobble” technic which Mark has definitely mastered. Mark has been performing and running his didgeridoo workshop around the word many years. He is also internationally recognised for his collaborative projects with some of the world’s leading composers and musicians, such as Robert Plant and Jimmy Page of Led Zeppelin, Hothouse Flowers, Philip Glass, London Philharmonic Orchestra and the among others. 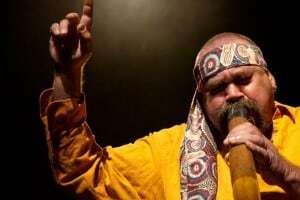 In 2001 he collaborated with Wurundjeri elder Joy Murphy Wandin and composer Philip Glass in the concert work Voices, performed at the Melbourne Town Hall and New York’s Lincoln Centre. The composition was commissioned by the City of Melbourne to relaunch the Melbourne Town Hall Organ.A descendant of Western Australia’s Yamitji people, as well as of Irish/Australian heritage, Mark is known not only for his mastery playing, but also as a storyteller, composer, percussionist, visual artist and instrument maker. 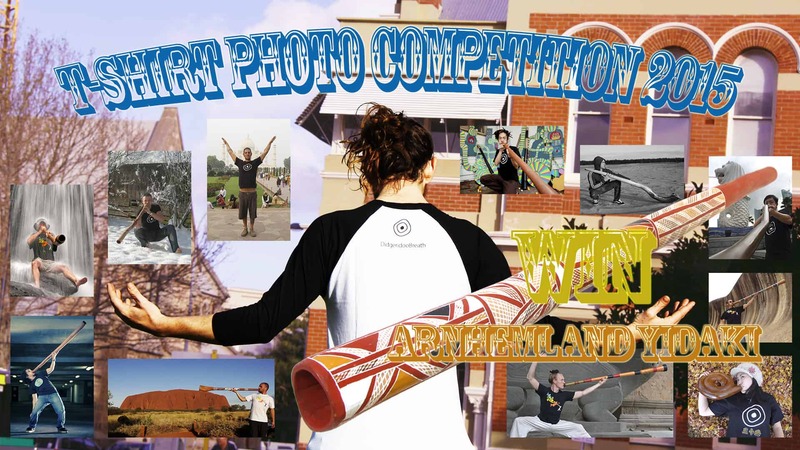 2015 Didgeridoo Breath T-shirt Photo Competition! – win Arnhemland Yidaki!!! 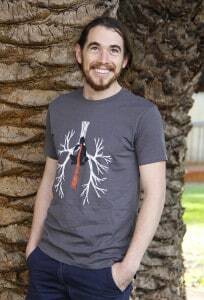 2015 Didgeridoo Breath T-shirt Photo competition! 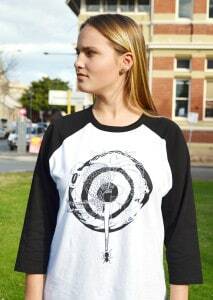 Send us a photo of yourself wearing a Didgeridoo Breath T-Shirt in an iconic or special place and you can win this Arnhemland Yidaki valued at $650! 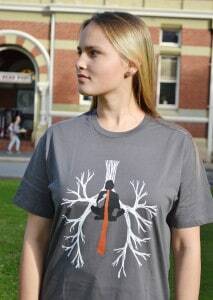 What are you waiting for, grab your Didge Breath T-Shirt, get the camera out and start clicking! We will upload your photo as soon as we receive it so the sooner the better. 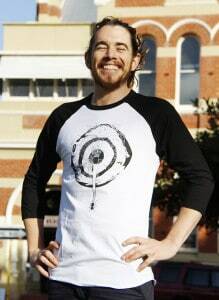 The winner will have their Arnhemland Yidaki in time for Christmas. What a cool present! Go, Go, Go… and good luck!